Biscotts is a global eatery that celebrates great food from across the world offering dine-in, take-out, catering and delivery services. They just opened in South Jordan, UT. 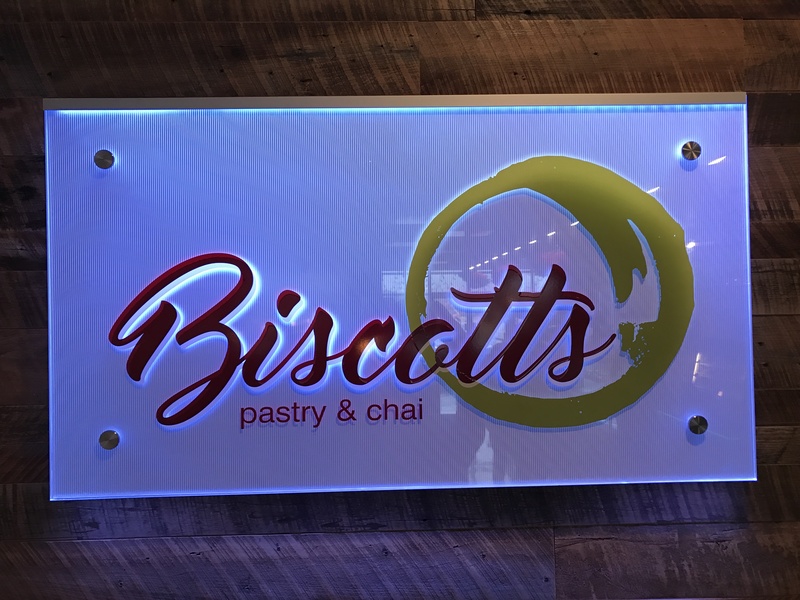 Biscotts is the first Chai House in Utah and they are excited to offer their customers 20 varieties of warm and cold Chai that they brew themselves for their signature spices. 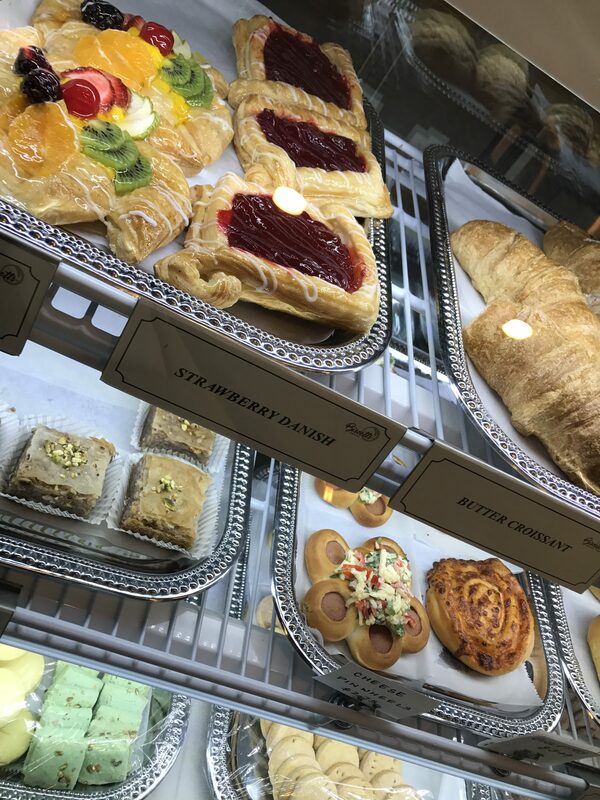 Besides pastry and chai they also offer a light breakfast and lunch menu that is healthy, fresh and flavorful. A variety of oatmeal, brekkie pots and parfaits are part of the breakfast offerings. Lunch and dinner menu comprises of fresh crafted wraps and paninis. 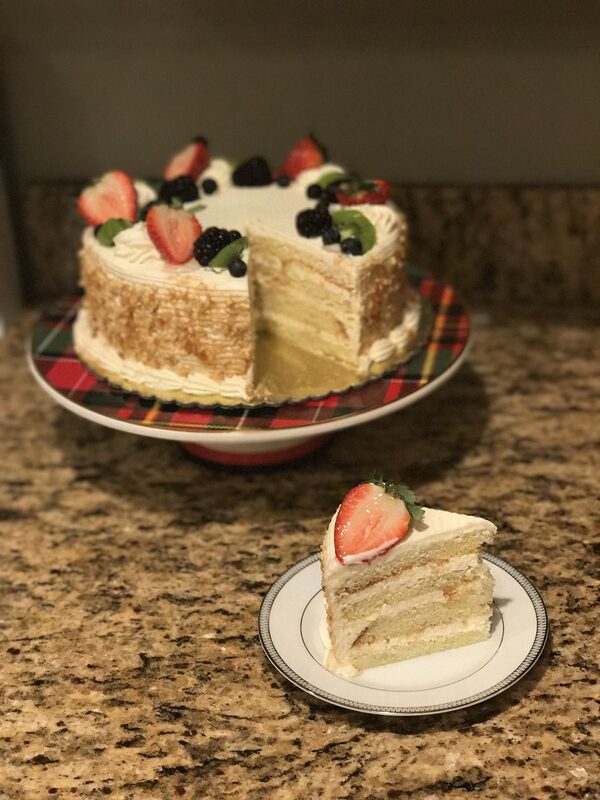 I was able to get a beautiful, butterscotch cake from Biscotts this year for our Chirstmas Eve dinner. It had layers of butterscotch cake and buttercream, topped with a variety of fresh fruit and nuts on the side. It truly was a beautiful edition to the table! You can order cakes of all sizes and flavors! I have listed some of that information below. 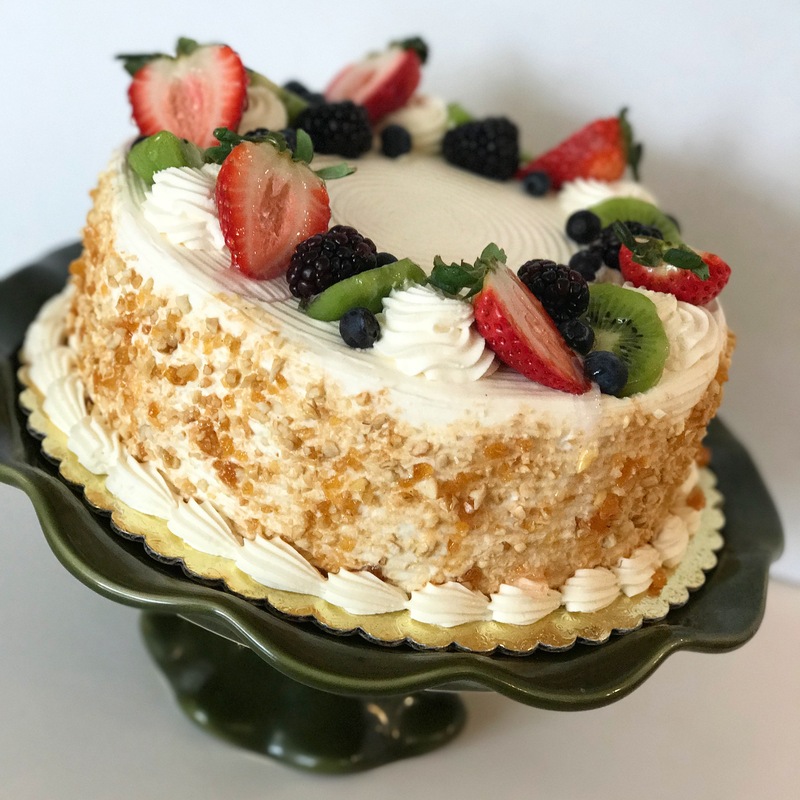 Celebration cakes are available in a 9 inch round (most popular size at $29.99 per cake), 1/4 sheet at $54.99, 1/2 sheet at $74.99 and a full sheet cake at $119.99. All cakes are six layered. Custom cakes pricing varies. 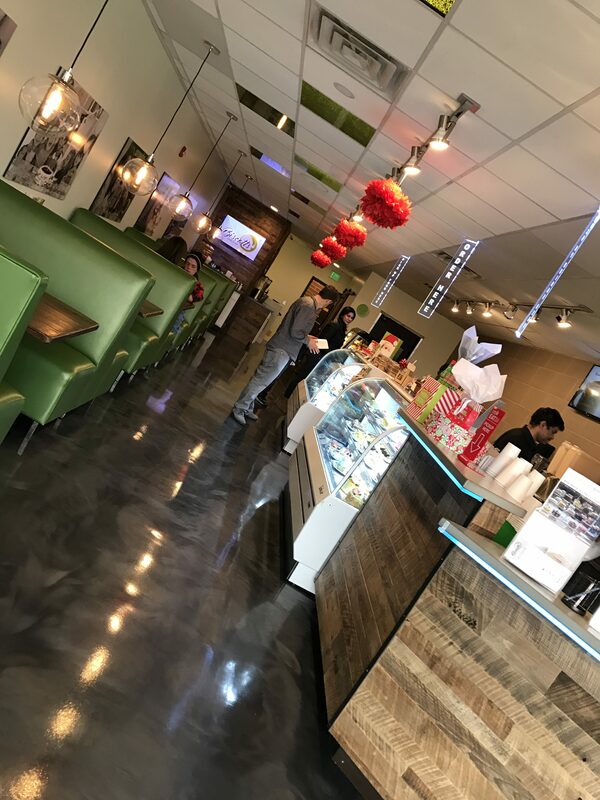 Flavors range from classics like chocolate, strawberry, red velvet, to favorites like butterscotch, black forest, tiramisu to more exotic creations like coffee, mango, pineapple, pistachio and mixed fruit. 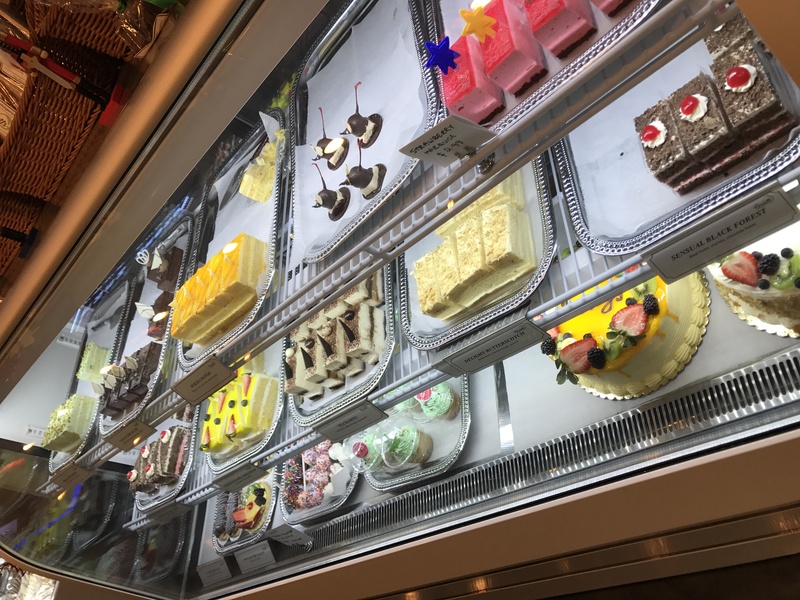 A selection of all the celebration cakes are available as individual cake slices in the pastry counter. They are priced at $2.75 per piece.